Whether you’re a self-published author or have connections with the big boys, your book needs marketing. However, as an author your mind is probably focused more on finishing the book and not worried (yet) about who is going to buy or read your quality work. 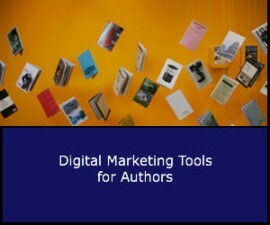 So look over these digital marketing tools for authors and when the time is right decide which one will be most efficient when targeting your audience. Often times when you read articles or online print and a name of an author is hyperlinked that link is going to direct the reader to the author’s Amazon Bio. This is a location for an author to display their online credentials, profile, products, upcoming events and more. Now that the author’s bio is created on Amazon it’s time to sign up for Author Central,. This marketing tool tracks author rankings, their new reviews and sales and all data collected from Nielsen BookScan. This is a great tool considering the data covers nearly 75% of all sales and instead of only recieving royalty statements twice a year, you can keep tabs on your data every week. According to The Positive Vibe, the next time you tweet a link to your book, make sure it’s an Amazon link so those who have connected their Twitter account to Amazon can respond with the hashtag #AmazonCart and automatically add your book to their cart. Then the next time they log into Amazon, your book will be waiting for them. Sign up for the Author Program and you will get an Author Dashboard which includes your own bio, an ‘Ask the Author’ section, a personalized blog feed and much more. This digital marketing tool offers a free way to advertise an upcoming release of a book. (However currently e-books are still restricted). According to Mashable, the average giveaway attracts 825 entries and most of those users add your book to their reading lists, which helps your book be seen by other users. Additionally, winners will often write reviews of your books, offering more promotion to your products. If you’re an author looking to get books into classrooms everywhere, then Skype an Author Network is the right marketing tool for you. This easy to use digital marketing tool allows the author to fill out their biography and offer an outline for a free 15-minute Skype chat, including a breakdown of what your paid Skype (or in-person visits) would cost. GoodKindles is an excellent digital marketing tool for authors who publish books for Kindle, it’s know as the “Where Writers Meet Readers.” The low, one-time payment will land your book a permanent spot on this site as well as in their daily newsletter. Regardless of your knowledge and experience in digital marketing as an author, you still need to yourself as an author as well as your book. Use these resources provided to find which digital marketing tool best fits you when targeting your audience.